The rise of South East Asia as a region is inextricably linked to the birth of the Cold War. In no other region did the Cold War feel quite so ‘hot’. After decolonization, South East Asian nation-states forming new national identities each found allegiances with one or other of the two Cold War powers: whilst on one hand, nationalist-communist parties fuelled by rejectionist fervour against previous European colonial powers were supported by the 'progressive' Soviet philosophy and politics, on the other, pro-democratic capitalist states had their national economic and social development engineered by the CIA and implemented under the guise of American philanthropy. This paper looks at the concomitant rise of the ostensible search for national culture and the accretion of cosmopolitan and global cultural practices in Cold War South East Asia. 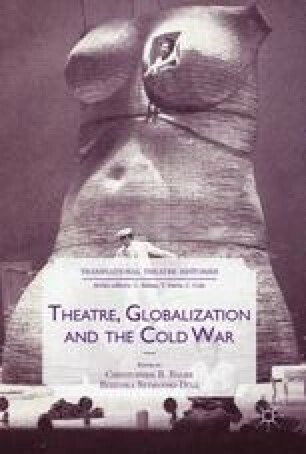 Borrowing Pascale Casanova’s concept of the ‘world republic of letters’ and extending this to the practice of theatre and dance in the period of the Cold War, we propose a theoretical logic as to how theatre and dance artists bestrode the concomitant rise of national culture-building and of a growing ‘world dance space’. We will place particular focus on the dance and theatre scene in the Philippines from the 1950s to the 1980s.